FM PDF Image Extractor Free is a handy software that helps to extract images from PDF document. All the embedded images of a PDF document can be extracted and saved to user-defined destination using few mouse clicks. This freeware also lets you select output format for images. It can extract images in BMP, JPEG, TIFF, PNG, and in JPEG-2000 format. If you need, you can also set it to extract images in original format only. Screenshot below shows the interface of this free PDF image extractor software where you need to perform all the tasks. Note: Pro version is also available of this PDF image extractor software. Using its pro version, you can extract images from multiple PDF files together, can apply image filters, as well as can view input PDF with built-in PDF viewer function. The free version is sufficient enough to extract images from one PDF file at a time. Similar software: Fusion PDF Image Extractor, Free PDF Image Extractor 4dots, and PDF Image Extractor. Supports single page and multiple page PDF documents for image extraction. It also helps to extract images from password protected PDF. 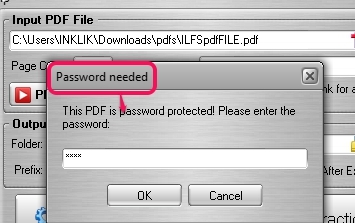 You simply have to provide right password to add PDF on its interface for extracting images. Just few mouse clicks are required start images extraction process. It is around 7 MB in size and free for personal and commercial use as well. You can select page range to extract images only from selected pages. It is very helpful if there are too many pages in your PDF file and you need to extract images from only a few of those. How To Extract Images From PDF File With This PDF Image Extractor? After installing this freeware on your PC, you can use its interface to extract images from PDF. Installation is quite simple, but ad-supported. So be careful during installation process, as some third-party tools will be prompted for installation. 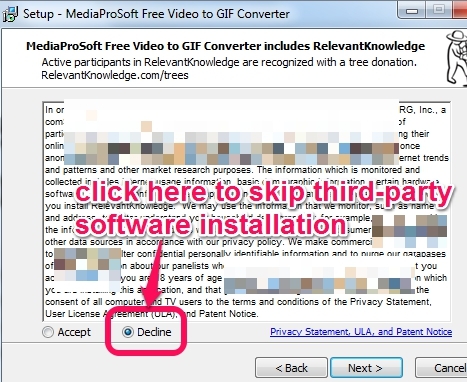 You can simply skip those tools using Decline button and continue with FM PDF Image Extractor’s installation. After completion of installation process, its desktop icon will be created, which you can use to open its interface. To extract images from a PDF file, add PDF file available on PC either using drag n drop support or with File menu. Now, you can select destination folder where you want to get extracted images. After this, select the output format, add Prefix name for output images (if needed), and tap on Start execution button. 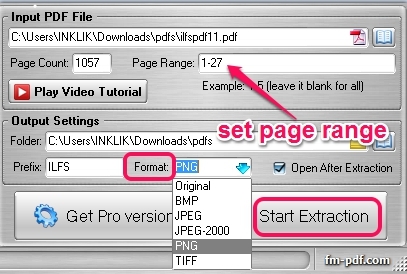 If you have added a multipage PDF document and need to extract only some required images, then you can set page range (like 1-3, 5-7, etc.). This will help you to extract images only from selected pages. As soon as the execution will complete, you can open destination folder to access and use output images. FM PDF Image Extractor Free is helpful enough to quickly extract images from PDF document. All its options worked fine for me, and it is useful as well, so I highly recommend it for the purpose. Get FM PDF Image Extractor Free. We have also covered 5 free tools to extract text from PDF files.